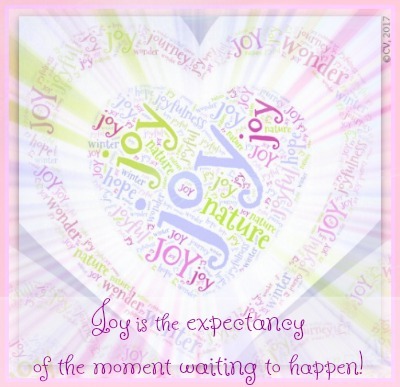 At this time, joy is filling our house as we expect the arrival of our first grandchild, a sweet baby girl. as soft as the pastel sky at sunset. as it bursts into iridescent sparkles. Listen to Song of Joy. Watch the parade of digital visuals. 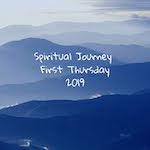 I chose joy for my one word this year so I am delighted that Margaret Simon, this month's host of Spiritual Journey 1st Thursday, has chosen Finding Joy as her topic. Please see what she and others in the community have written at Reflections on the Teche. Stay tuned for the long-awaited news of my little bundle of joy! opening out to the world. that link to sensory emotions. Thank you to my colleague, Michelle H. Barnes, for this month's ditty challenge chosen by Melissa Manlove, Senior Editor at Chronicle Books. 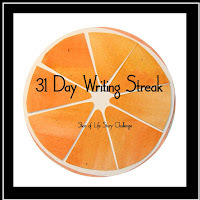 The challenge is to write a poem that explores how writing (or a book) is like something else. Click here to read the Michelle's interview with Melissa Manlove. You can read other poems at Michelle's May 2017 padlet. The screen refuses to work. with the slip of a finger. That is what happened just now when I became frustrated with tech glitches. 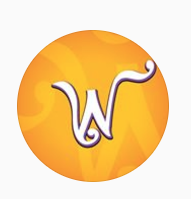 Exhausted, I am off to sleep to see if Wonderopolis can resurrect my Wonder Ground lesson plan on Memorial Day tomorrow. 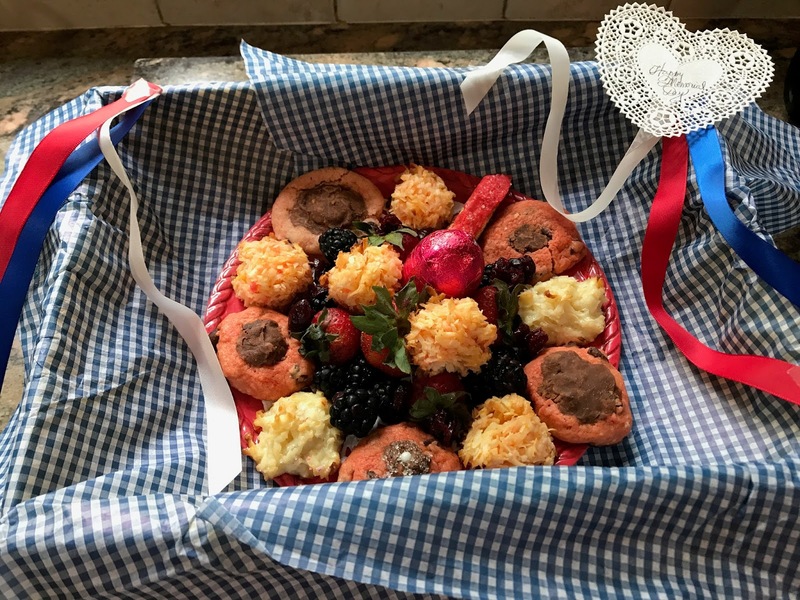 Have sweet dreams about the sweets I made for the Memorial Day barbecue. Engage in deep breathing techniques practiced in yoga early this morning. Tuesday is the Two Writing Teachers' Slice of Life. but it is the most important incident occurring before sleep. and hopefully have restored a day's work that vanished. Sitting quietly reflecting on memories from my earliest years in education is a great way to wind down after a three day, out-of-town conference. 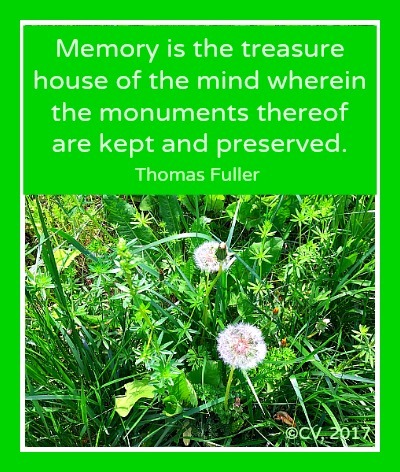 I am gratitude for the moments I remember and the friends I have. I do not remember days. While in Albany this past week, I connected with my friend, Joan. We reminisced about our early days as educators and toured past structures and settings from my graduate days at SUNY at Albany State. 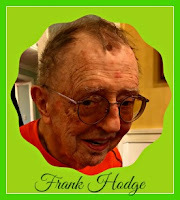 Then, off we went to visit Frank Hodge, a literary luminary well-known to members of New York State's Reading Association. Frank was my children's literature professor in graduate school. He nurtured my passion for teaching and my love of reading; chose Joan and I to be on the Albany Reading Council's Executive Board; brought us to reading conferences to broaden our perspective as educators. The visit we had with Frank at Teresian House was filled with memories of the past. We reminisced, laughed, listened to Frank talk of all the famous authors he knows, and promised to revisit him during my next trip to Albany. I left thinking that friendships are unique relationships to be cherished. Months or years may pass between visits but memories and friends remain constant. in a faithful album called LIFE. I am in the final stage of collecting offerings for my spring gallery, Springsations. Please send your pieces to cvarsalona at gmail.com and visit #Springsations on Twitter. Self-expression is an important aspect of who you are. It is the manner in which you present yourself. Have you ever thought how you would portray yourself? Would you draw, paint, illustrate, create a digital, or a hand-hewn expression of you in the limitless expanse of life? 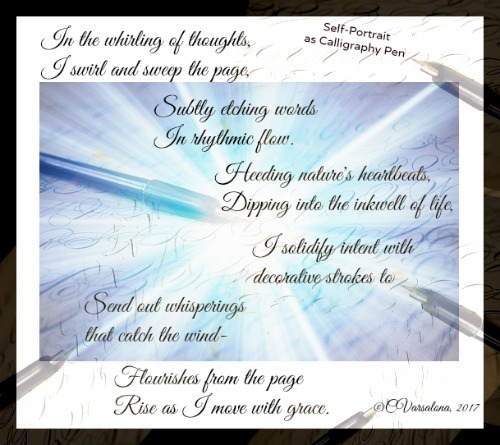 Last week, Brenda Davis Harsham created a self-portrait poem, Self-Portrait as Wildflower, mirrored on Irene Latham's amazing poem, Self-Portrait as Tangerine. I was so taken by their poems that wove words and visuals so beautifully that I have been reflecting on the form all week. Using Irene's and Brenda's poems as inspiration, I designed a poetic expression and digitized it to represent a side of me that has emerged over the years. Knowing that Irene and Brenda's poems are concise and metaphorically inspired, I humbly present my image poem. It is filled with flourish depicting the image that expresses the inner me. A self-portrait is an artistic expression of the inner you. This week, Poetry Friday is hosted by Kiesha Shephard at Whispers from the Ridge. Kiesha sent out a lovely invitation to remind us to stop by the Poetry Friday Round-up and asks us to think about the shape of our year so far and where we find joy in our daily routines? As a Wonder Lead Ambassador, I am in the process of creating a Wonder Bundle of five literacy learning experiences for teachers to use. 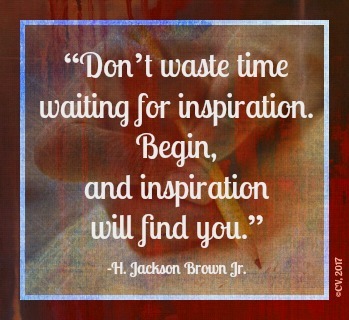 This 3rd post, entitled, "Uninspired", provides ideas on how to help students find inspiration around them so that they are inspired to write and share their ideas with each other. I thank my colleague and friend, Holly Mueller, and her student Connor for providing mentor texts for this learning experience. Please click on the link below to see Wonder Bundle #3. Carol Varsalona: Wonder Bundle #3: Uninspired? | Wonder Ground. Wonder Bundle #2, Choice Leads to Amplified Voice, can be found here. Wonder Bundle #1, How Can You Make Earth a Better Place? is here and linked to Celebrating Earth, here. I am centering the learning experiences around the acts of noticing and wondering to inspire all to write from the heart. 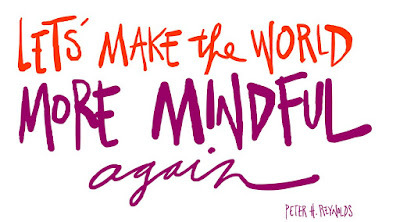 In yoga last week, the teacher gently repeated a mantra that stayed with me throughout the session. "Let your mind rest on your breath,"
A gentle voice retraced the message. "Let go of your to do lists. 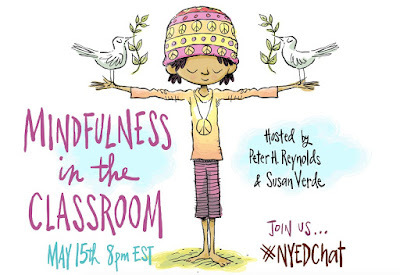 It was a timely message since I was preparing for the #NYEDChat convo centering on "Mindfulness in the Classroom and Beyond." Building momentum for a successful chat is key. What transpired was noteworthy. The above poster, illustrated by the beloved author/illustrator Peter H. Reynolds, was retweeted by educators, parents, and students for days prior to #NYEDChat. Thoughtful questions were prepared by the wonderful author, poet, and yoga/mindfulness instructor, Susan Verde, and I repeatedly sent out the question flyer via Twitter. The publicity campaign continued on FaceBook. We were definitely ready for a chat that would engage people and students from many corners of the world beyond New York State. A transcript of the chat was promptly provided by Participate. It can be can be found here. What does it take to deliver a topic, engage an audience, and provide an opportunity for people to network with each other? Upon a quick relook at the chat I realized that the above bulleted points were evident throughout the conversation. Moderators and participants came into the chat with an excited attitude and positive perspective. 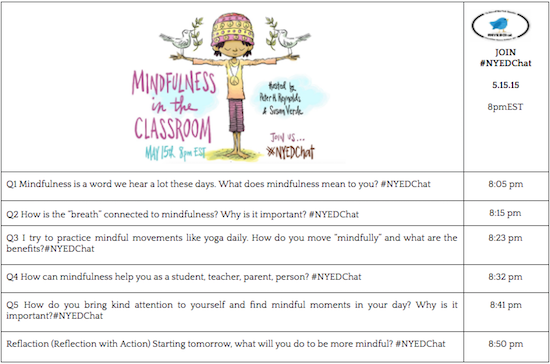 Everyone was mindfully attending to the topic at hand, providing responses, resources, and sidebar conversations with each other. 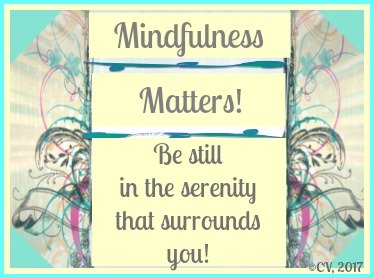 The topic focused us on the importance of having students learn mindfulness in their early years. Passion was present and in high degrees. Because of the high volume of tweets, stamina was needed to stay in the flow. Everyone was grateful for the moderators' thoughtful questions and responses. Reflecting on the chat has made me aware of the high energy of educators, parents, and teachers who voluntarily join evening chats. There seems to be an endless thirst for knowledge and consistency in positive perspectives. I leave you with gratitude for our guest moderators' enthusiasm to prepare for and engage in the chat. 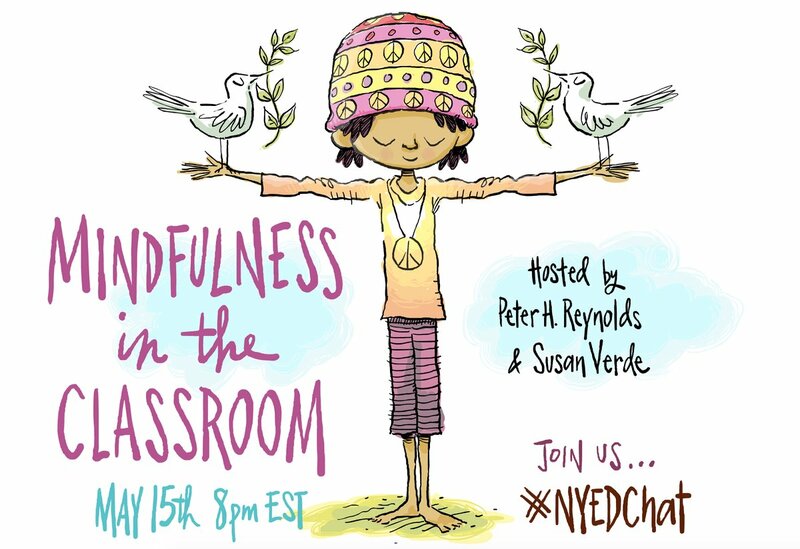 In addition, I would like to express heartfelt thanks to the participants for their eagerness to learn alongside Peter H. Reynolds and Susan Verde. Stay tuned for Part 2 in which I will dig deeper into the chat to highlight the positives. 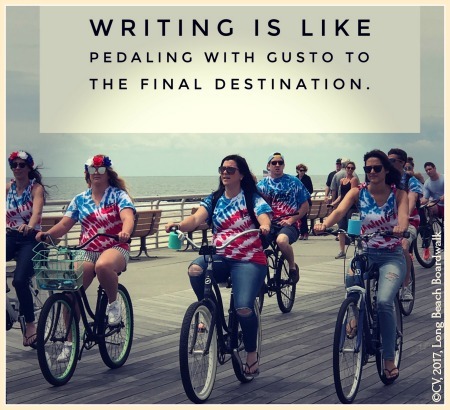 I offer this post to Two Writing Teachers for Slice of Life Tuesday, "a meeting place for a world of reflective writers" where educators share weekly slices of their lives. As one season turns into the next, subtle changes occur in nature. Winter turned to spring this year, and a flurry of poems were released. National Poetry Month saw the rise of poetry in classrooms and on social media. Laura Shovan's #10FoundWords project that began in winter on a closed FaceBook community site continued into spring. 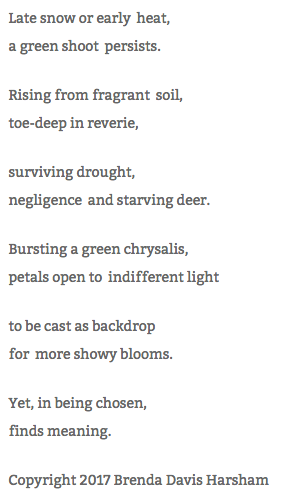 For the April challenge, Heather Meloche offered the prompt, Early Spring by Rainer Maria Rilke. 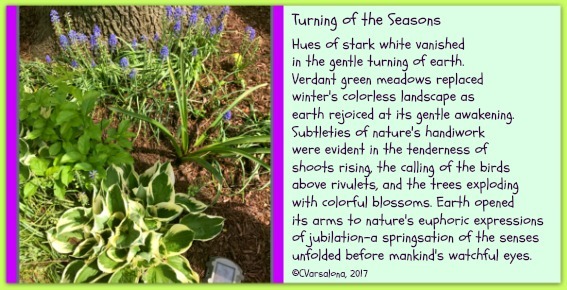 I found myself responding late to the call to write but nonetheless was drawn to this poem that centered on the turning of the seasons. In order to complete the task, I needed to use the 10 words that were chosen from the original poem to create an a found poem. The words Heather chose for the challenge were: vanished, softness, meadow, rivulets, tendernesses, earth, subtle, risings, expression, and trees. in the gentle turning of earth. earth rejoiced at the gentle awakening. unfolded before mankind's watchful eyes. 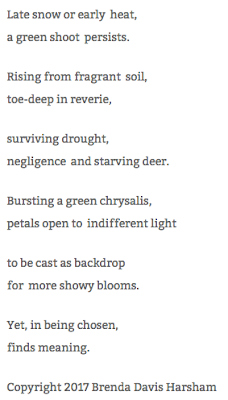 Now please turn to the Poetry Friday Roundup at Tara Smith's site, A Teaching Life. There you will find springtime delights. 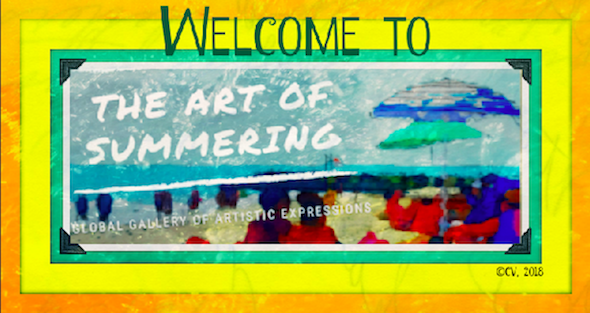 If you have an offering for my spring gallery of artistic expressions, #Springsations, please send me your work. that brought us to today. the adults we are today. and extend well wishes to friends. 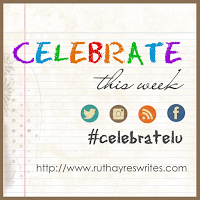 at her space, Celebrate This Week. Within the community of a classroom, student voice is fostered. Through choice options, it amplifies its reach, moving all students to have a say, to reveal identities, and bring perspectives to the table of knowledge. How does #StuVoice take root? 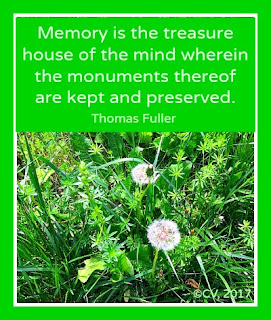 During the #TWTBlob conversation on May 8th, educators discussed how best to keep learning going throughout the summer. 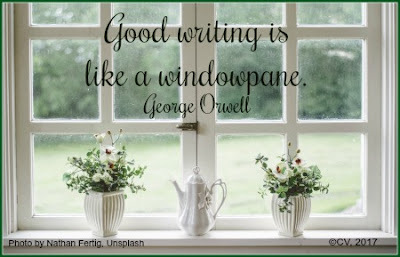 As a proponent of student voice, I think that teachers who find their voice through the art of writing are more apt to encourage students to tap into their inner voice and let it fly. 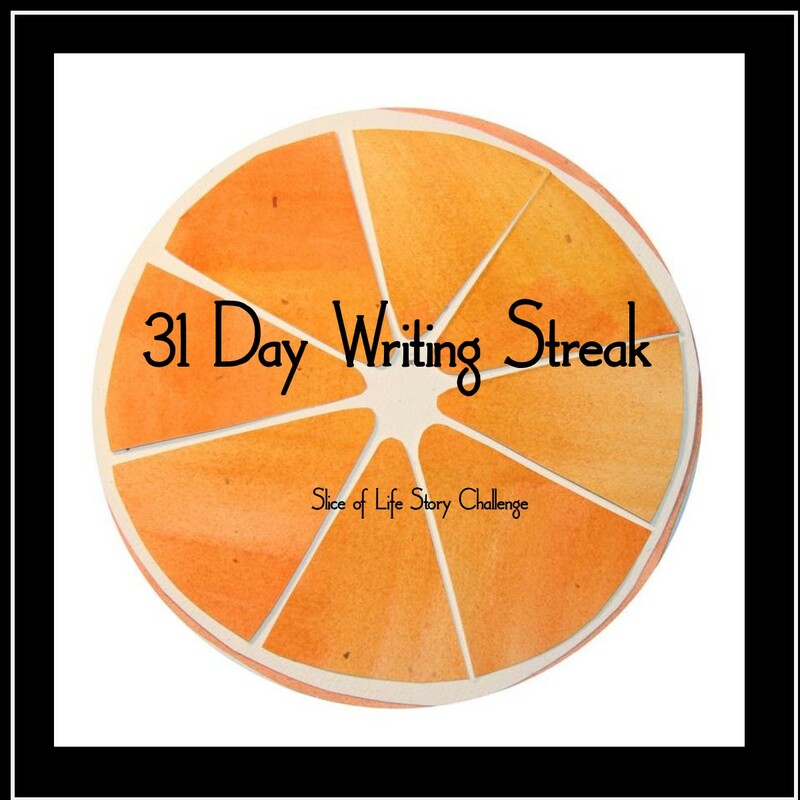 Today is Slice of Life Tuesday and I am joining Two Writing Teachers to offer my slice and read the thoughts of colleagues. 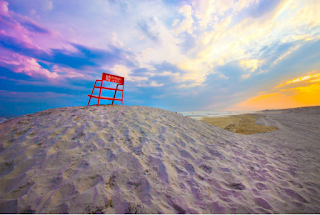 As the school year nears closing, educators continue to find resources and avenues to explore their professional wonder. I am impressed by the hundreds of educators who aspire to seek knowledge and grow as learners each day on Twitter. Twitter chats provide excellent soil to plant seeds, share growth, and cultivate new gardens of thought. While not being able to join #G2Great on May 4th, I was fortunate to read the archived transcript and Dr. Mary Howard's Literacy Lenses post reviewing last week's educational chat with Cornelius Minor and Courtney Kinney. 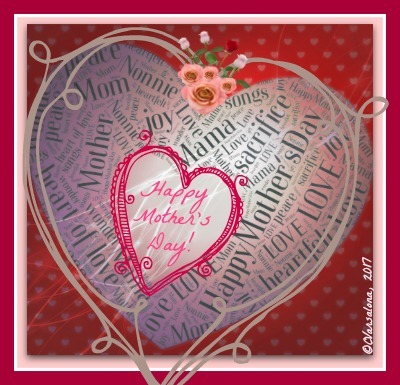 You can access Mary's post here. I was intrigued by the way Mary synthesized the information from the #G2Great Twitter conversation, focusing on the theme of building a tapestry. 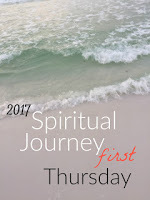 She deftly wove her post together, providing the reader with a backward look on the chat and a forward plan to finish the year strong. 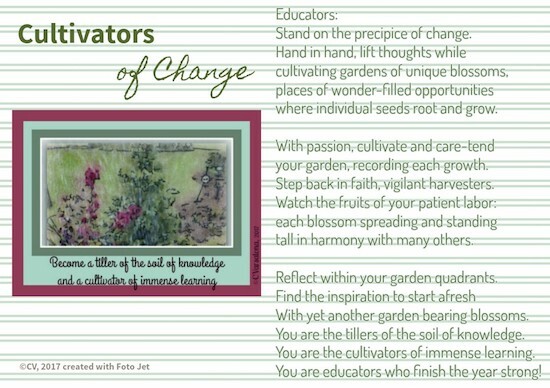 For those who enjoy the journey of professional wondering like me, I hope you cultivate gardens of thought as you network and learn from other educators. 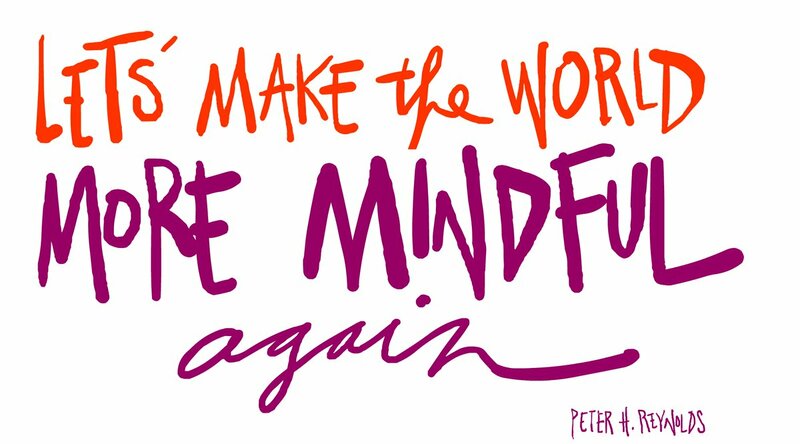 By becoming a voice on Twitter, you can gather seeds of knowledge to support your journey and build your own Wonder Wall of quotes that extend your knowledge and assist you in helping your learners become unique voices in a diverse world of thought. From Mary's post and the thoughts garnered from Cornelius' and Courtney's nuggets of wisdom, I created a commitment statement that I will share with other educators as I continue to walk my journey as a wonderologist. Stand on the precipice of change. where individual seeds root and grow. your garden, recording each growth. Step back in faith, vigilant harvesters. tall in harmony with many others. Reflect within your garden quadrants. With yet another garden bearing blossoms. 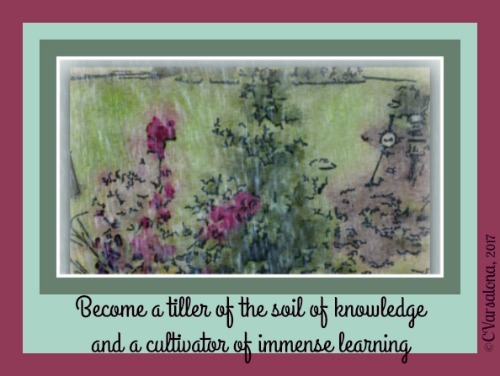 You are the tillers of the soil of knowledge. You are the cultivators of immense learning. You are educators who finish the year strong! I offer this to post to #DigiLitSunday where the topic is professional wonder. 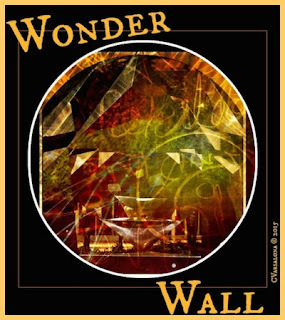 This topic stems from last week's #WonderChat where Dr. Mary Howard was the guest host discussing Instilling a Sense of Professional Wonder.